Sorry I didn’t post yesterday. I had an episode of MS fatigue and my get up and go just got up and went. 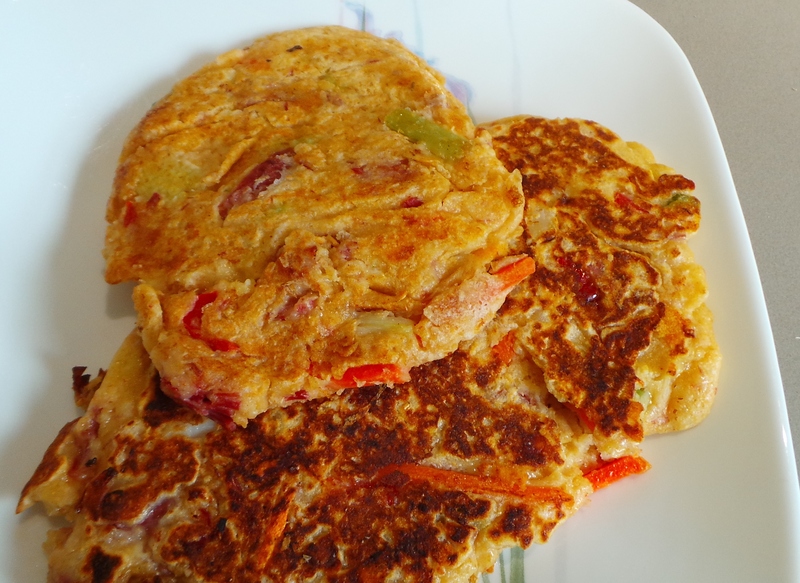 However, just to fill in the gaps, yesterday I used the rest of the leftover corned beef to make fritters for lunch. I also used up some frozen stir fry vegies I’d heated for the fried rice a night or so before and then realised I didn’t need. So, that went well. I didn’t have dinner as I just didn’t have the energy to eat, but The Boy tucked into the leftover Sausage Hotpot. It’s all good. 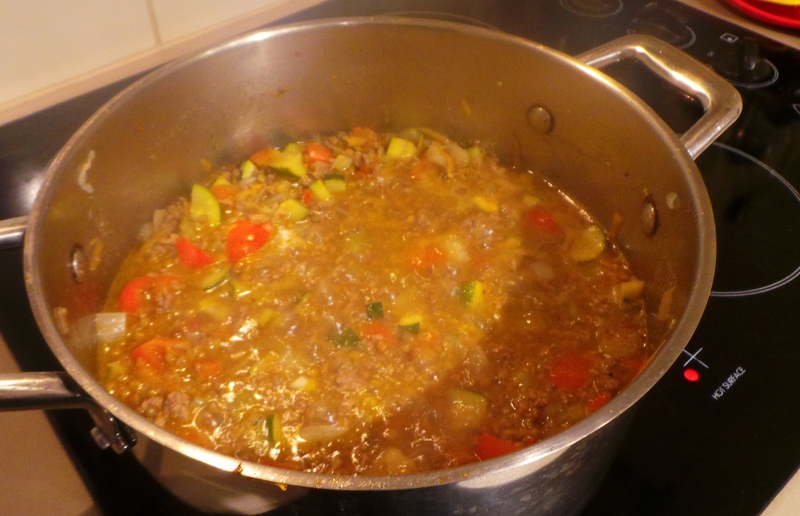 I did manage to get my meat and lentil sauce cooked for the Cottage Pie tonight. It looks and smells wonderful. If you look closely at the second photo, you’ll spot the tiny lentils I soaked the day before. 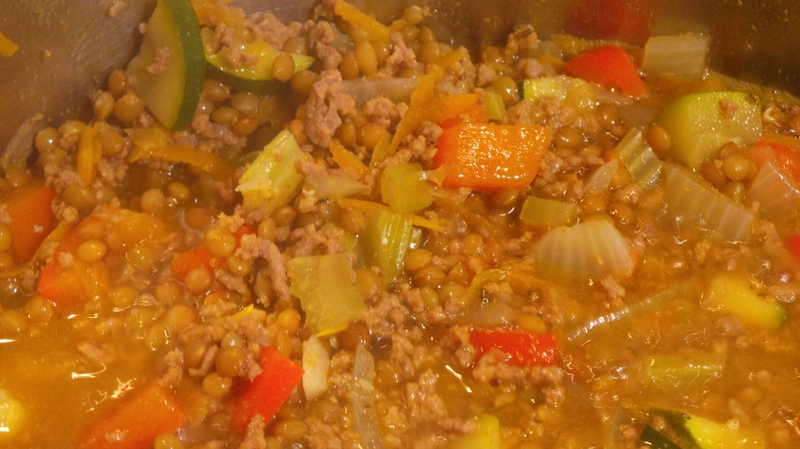 See how the lentils blend in so well? 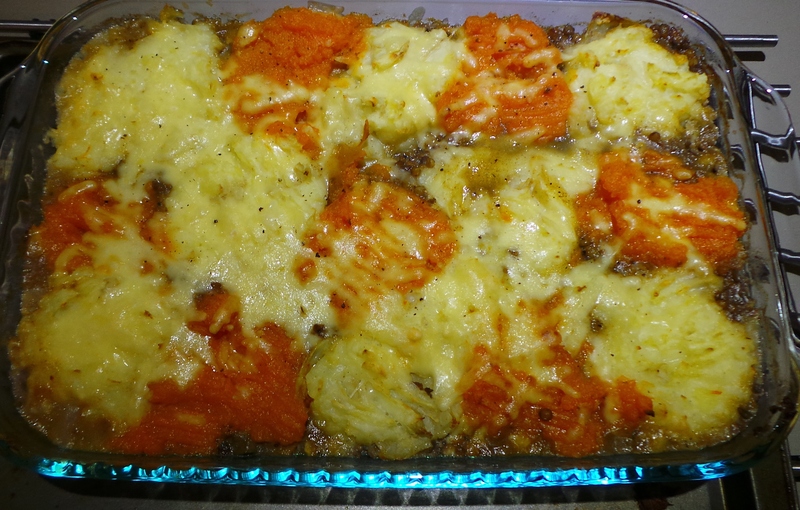 I cooked the sweet and white potatoes this afternoon and mashed them up – arranging them on top in a chequerboard pattern. There’s now a big pie that I had intended to take to the Solstice do (not well enough to go, sad face) and two individual ones for our dinner this evening. 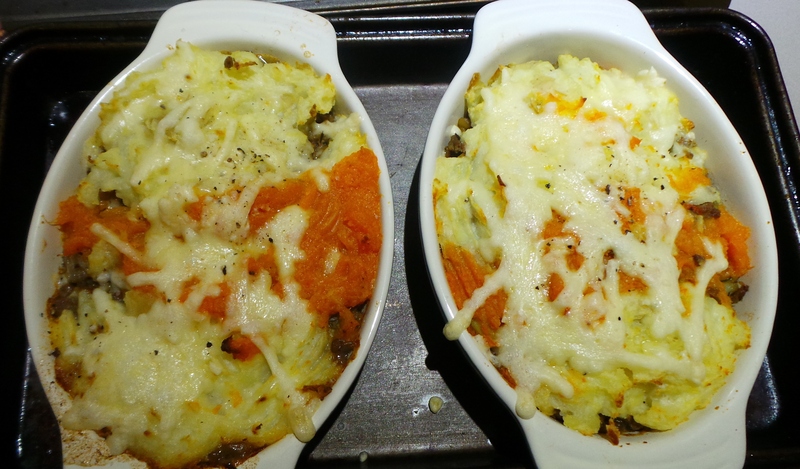 A Big cottage pie for eating later. We did a bit of a stocktake earlier and realised that we’ve used about a quarter of the food I purchased last week. That means I’ve effectively fed us both on $25.